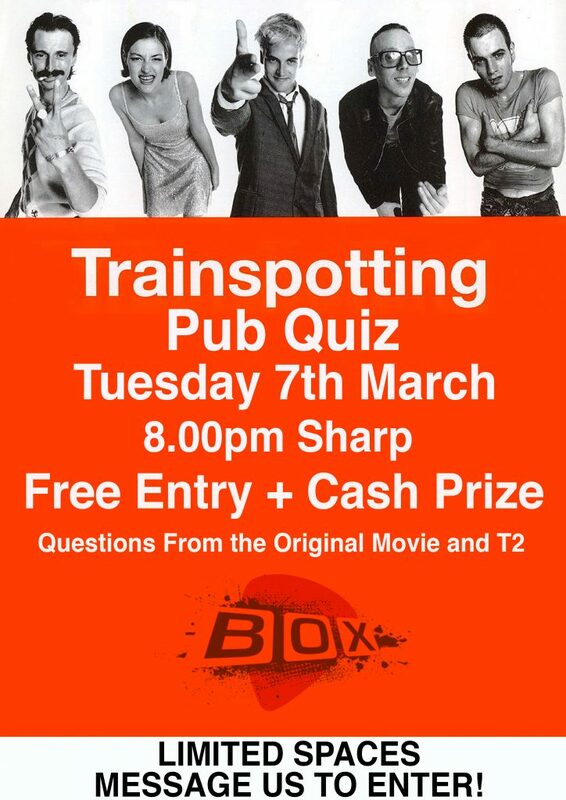 Couple of quizzes coming up in March! With the T@ Trainspotting sequel being so damn good, we thought we would do a Trainspotting quiz, covering both movies! Takes place on Tuesday the 7th of March! 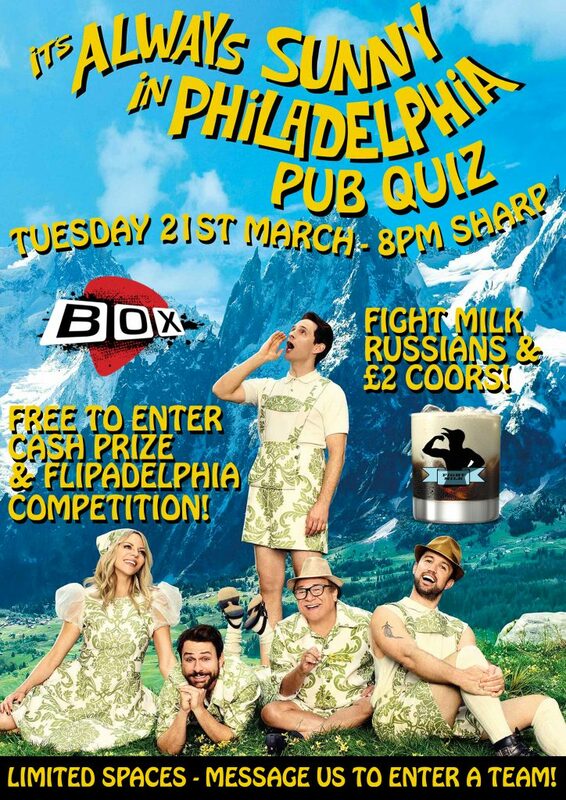 ***SOLD OUT**** We also have the return of our infamous ITs Always Sunny in Philadelphia Quiz! Now with Fight Milk Russians! Takes place on the 21st March! Email shep.box@hotmail.com to take part in either quiz!